The AVR Valley Proud win sticker is cruising around on vehicles throughout the valley. Don’t have yours yet? Look out for us in the cruiser, as well as remote broadcasts in your area to pick up yours! 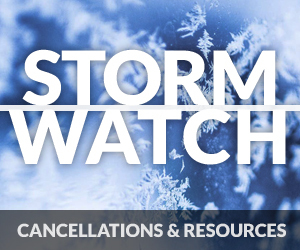 Also available at our Kentville studios. 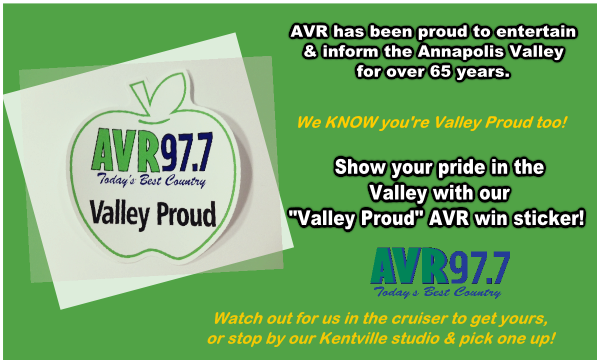 AVR has been a part of the Annapolis Valley for 70 years, and we are Valley Proud! We know you are too, so prove it, get your sticker & proudly display it on your vehicle. You never know what you could win with it!